​Do not for one second think that the persecution of the Church is not taking place…and do not think it is not happening here in America. It may not look like the persecution our brothers and sisters in other parts of the world are facing (i.e. death, shame, banishment, stoning, prison, beheading, forced to worship other gods, etc. ), but it is happening. If we are not careful, we, the Church, will allow it to escalate because we are too busy comparing our world to that of other parts of the world. Persecution is good, however, because it makes us aware of our need for Him and should cause us to draw closer to Him. “Stay alert! Watch out for your great enemy, the devil. He prowls around like a roaring lion, looking for someone to devour. Stand firm against him, and be strong in your faith. Remember that your family of believers all over the world is going through the same kind of suffering you are” (1 Peter 5:8-9). It is very rare that we are killed for our faith here in the United States. Yet, our fears are derived from the cruelty that takes place in such places as the Middle East, Africa and South Asia. Even my own children, while I was explaining how God has allowed me to minister to people in the Middle East and South Asia through social media, exclaimed in fear, “Mom, you have got to stop doing that. It could get you killed!” Dear children, I love them, but they have no concept of how our own Christian liberties are slowly being stripped away from us every day here in the United States and how the hand of God’s favor is slowly moving away from us. That makes me more afraid than anything any mortal could ever do to me. No longer do we stand and proudly proclaim, “God bless America!” Instead, we are doing little things every day to turn our backs on God. Those who do their best to try and walk with God and follow Him are constantly labeled as “religious bigots,” “Christian nuts,” “religious freaks,” “do-gooders,” and “hypocrites.” Because we, as Christians, are trying our best to walk in a manner laid out before us in Scripture, we are called out. My question for you - do you think it was any different for those who walked with the Lord in the Old Testament and the disciples, apostles and followers of The Way in the New Testament? No, it was not. Woven throughout Scripture is a dialogue of soap-opera-meets-reality-television-meets-CNN news types of encounters that could play out today. Brothers killed brothers who had greater favor, mothers killed sons because they wanted to worship false gods not the God of the universe, society wanted everyone to partake in sexual immorality and poked fun at those who did not, people were locked up in prison and people were cut off from their families. As Solomon said, “there is nothing new under the sun” (Ecclesiastes 1:9). ​I recently posted this Scripture on my ministry Facebook page, “For you will be expelled from the synagogues, and the time is coming when those who kill you will think they are doing a holy service for God” (John 16:2, NLT). Someone responded, “Prayers for our persecuted brethren in the Middle East!” Yes, certainly, we must pray for our brethren in the Middle East, but we also need to be praying for our brethren here in the United States! We have our own issues in the United States. Lots of them…so many in fact that the list would take up too much word space! However, let’s be aware that God is bringing the nations to the United States right now…nations that are not predominantly Christian…in mass quantities. Like the captives being led away into the exiled lands in the Old Testament, God is allowing these people groups to come to the shores of the United States. Without getting into the issue of inter-marrying, I am going to get into the issue of inter-religion. We know what happened to the Chosen people of Israel when they were brought into captivity with the pagans. We know what happened when the Chosen people of Israel decided to mix and mingle with the pagan world. The Chosen people were lulled into worshipping their false gods…often while not completely denouncing their own God. We also see that God removed His hand from these people as they moved farther and farther away from Him. On top of all that the Church in America is navigating, we will be navigating the treacherous waters of how we will respond to the influx of “religions” and “beliefs” being brought to our shores. Will we sit quietly by as we worship our God, but do nothing else? Will we be like the Old Testament kings who walked in the ways of the Lord, but did not demand the tearing down of idols and Asherah poles? In 2 Kings 8 and 11, King Ahaziah’s own mother, Queen Athaliah, encouraged him to do evil. She was the granddaughter of King Omri and the daughter of the wicked King Ahab of Israel. After Azahiah’s death, Queen Athaliah proceeded to kill all of the remaining family members so she could reign. Why would she do such a thing? She wanted to continue to pull the nation of Judah farther and farther away from God. She had been plucked out of the northern kingdom of Israel and married into the royal family in the southern kingdom of Judah – the Chosen royal line of David and Jesus – to continue the influence of ungodly living. Are we really any different today? Persecution is defined as “hostility and ill-treatment, especially because of race or political or religious beliefs and persistent annoyance or harassment.” After viewing this definition of persecution, one can see that, while it may look different here in the United States, persecution is definitely happening within the American Church. We’ve seen a fire chief fired because of his beliefs, we’ve seen ordinances silently slipped into city laws without formally being on the voting ballots, we’ve seen monuments that portray Christ, Christianity or religion in cities taken down, we’ve seen prayer, the Bible and even the pledge of allegiance because it references God taken out of schools, and the list goes on and on. We have got to get serious about praying for our country and our faith. We must seek the Lord first and stay in a season of prayer until we see the breakthrough. We cannot be weak in this moment because the Holy Spirit dwells in each believer and He gives us the strength to persevere. This is our time to be a nation whom God delivers from destruction. This is our time to be of a faith that is strong because He is strong. We cannot defeat the evils of this world without Him. Not now. Not ever. 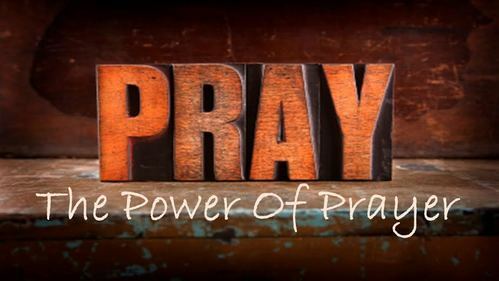 Prayer activates the heavenly armies. We need help. 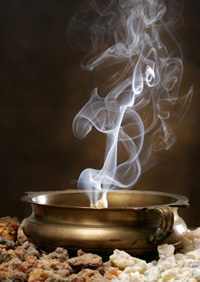 He will hear us if we cry out, but if we stay silent, our prayers will never be recorded in the bowl of incense in Heaven (Revelation 5:8). Our silence may be golden in a movie theater, but it is not golden to Him. I encourage you to read Jeremiah Chapter 2 today. While we cannot always apply Old Testament scripture to modern day context, this chapter creates a very vivid parallel between Israel once being blessed by God and slowly turning it’s back on Him. I believe the United States has done the same, and sadly, many Christians within the United States – perhaps lukewarm Christians – are doing what the Israelites did. The United States is not made up of a people group of Chosen people or one hundred percent believers. There are people who live and die here everyday that will be judged by God Himself because they have never put their faith and trust in Jesus. We cannot assume that God will save and heal our land…just because. We are a sick land, and a sick people in need of redemption and restoration. We love to quote 2 Chronicles 7:14 as we seek Him in prayer for our nation. But, I ask you to take a moment to read the verses before and after verse 14. They speak volumes about what God allows, what God wants and what God thinks when His people turn their backs on them. “I have heard your prayer and have chosen this Temple as the place for making sacrifices. At times I might shut up the heavens so that no rain falls, or command grasshoppers to devour your crops, or send plagues among you. Then if my people who are called by my name will humble themselves and pray and seek my face and turn from their wicked ways, I will hear from heaven and will forgive their sins and restore their land. My eyes will be open and my ears attentive to every prayer made in this place. For I have chosen this Temple and set it apart to be holy—a place where my name will be honored forever. I will always watch over it, for it is dear to my heart. “As for you, if you faithfully follow me as David your father did, obeying all my commands, decrees, and regulations, then I will establish the throne of your dynasty. For I made this covenant with your father, David, when I said, ‘One of your descendants will always rule over Israel.’ “But if you or your descendants abandon me and disobey the decrees and commands I have given you, and if you serve and worship other gods, then I will uproot the people from this land that I have given them. I will reject this Temple that I have made holy to honor my name. I will make it an object of mockery and ridicule among the nations. And though this Temple is impressive now, all who pass by will be appalled. They will ask, ‘Why did the Lord do such terrible things to this land and to this Temple?’ And the answer will be, ‘Because his people abandoned the Lord, the God of their ancestors, who brought them out of Egypt, and they worshiped other gods instead and bowed down to them. That is why he has brought all these disasters on them’” (vv. 13-22). I pray your only response is on your knees and more appropriately, completely on your face, with a repentant heart. The country of Egypt is in mourning for seven days because of the recent beheadings of twenty-one Egyptian Coptic Christians by ISIS – seven days – and yet, we want to spend one day (in all reality just a few hours, really), but not until the designated National Day of Prayer in May to pray for our country. I say start now – right now! Let’s mourn and weep for our country and our faith today, tomorrow and the next. Honestly, I do not think we can wait until May.